The object of this project is to improve some ordinary skills, like shading, cutting and arranging. There are two pages of images to work with. All of them do not have to be used in the arrangement. One pumpkin can be used or you can add, or don’t add, the autumn leaves. See how many different looks can be achieved with the same starting images. Other background colors can also be used. 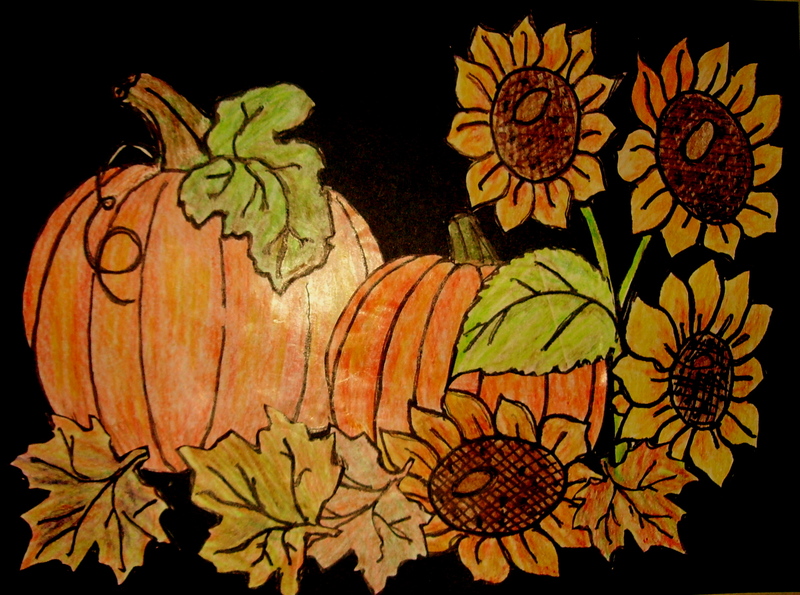 Find this project, Sunflowers and Pumpkins,” in the 6th Grade Projects Gallery in the sidebar. This entry was posted in 6th Grade, Thanksgiving and tagged arranging, art, autuman leaves art, autumn leaves, for kids, projects, pumpkin and flowers art, pumpkin art, pumpkins, sunflowers, sunflowers and pumpkins, thanksgiving art and crafts for kids. Bookmark the permalink.